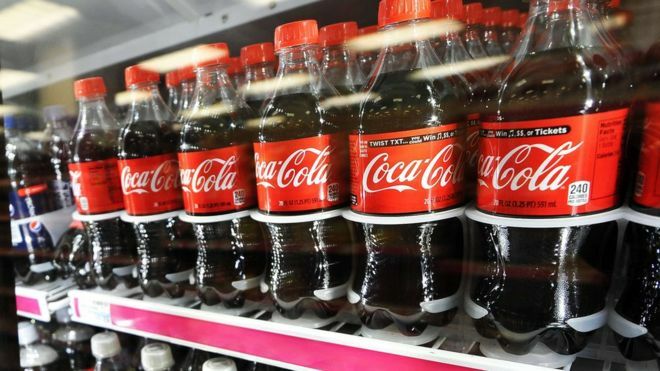 Coca-Cola is planning to produce an alcoholic drink for the first time in the company's 125-year history - with an alcopop-style product in Japan. It is keen to cash in on the country's growing taste for Chu-Hi - canned sparkling flavoured drinks given a kick with a local spirit called shochu. A senior Coke executive in Japan said the move was a "modest experiment for a specific slice of our market". "We haven't experimented in the low alcohol category before, but it's an example of how we continue to explore opportunities outside our core areas," said Jorge Garduno, Coca-Cola's Japan president. It was unlikely the drink would be sold outside of Japan, he suggested. Chu-Hi - an abbreviation for shochu highball - has been marketed as an alternative to beer, proving especially popular with female drinkers. Japan's big drinks firms including Kirin, Suntory and Asahi all have varieties of the drink, and continue to experiment with flavours. The most popular flavours are strong citrus ones such as grapefruit or lemon, but the drink can also be made with other fruit flavours like grape, apple and peach. As younger consumers become more health conscious, Coca-Cola has been diversifying from fizzy drinks, including buying water and tea brands. But last November, Wells Fargo analyst Bonnie Herzog speculated that Coca-Cola might move into alcohol, as it looked to "premium segments such as adult craft beverages". The phrase alcopop typically refers to sweet but alcoholic drinks, and in 1990s UK brands such as Hooch, Reef, Smirnoff Ice and Bacardi Breezer became hugely popular. But they were controversial, raising concerns that they encouraged young people to drink alcohol in large quantities because they were so easy to consume.